A captain is only as good as the team. A well decorated rhetorical statement often comes out of the microphones of commentators. But the fact of the matter is that cricket is the only game where captain plays a pivotal role both in terms of technique and temperament in deciding his team’s fortune. Unlike Soccer or basketball, where the coaches and managers are constantly controlling the situation, cricket is a game where captain has to decide there and then without any considerable help form dressing room. Where you can distinguish between the great captains and ordinary ones ? Pitch reading, decision making, filed placements, bowling changes and above all the results produced are the few parameters to gauge the effectiveness of a captains. But the real legacy of the captain is not defined by the number of matches being won but by the transition that captain brought in to the team. Cricket is filled with 100s of captains but few of them have been able to leave their mark in the history of the game. We decided to take 6 major factors into account and rank the top captains around the world. Clive Lloyd can be termed as probably the most blessed captain in terms of the man power he controlled. He had a team which had match winners form number 1 to number 11. Solid batting line up and ruthless fast bowling made it an invincible team. This is probably the reason that Clive Lloyd’s captaincy is probably undermined and it is said that any man could have lead that juggernaut. Well whatever you might say but the pragmatic thing is that you still have to do well to lead the team like that. Clive Lloyd did a commendable job in this regard and made sure that mighty West Indies lived up to its reputation. West Indies clinched the first two world cups and were very close to winning the 3rd successive cup. As a captain this man had a staggering win percentage of 77 in one day internationals. Australia has always been a potent force in cricket but Steve Waugh converted this potent team into world champion. 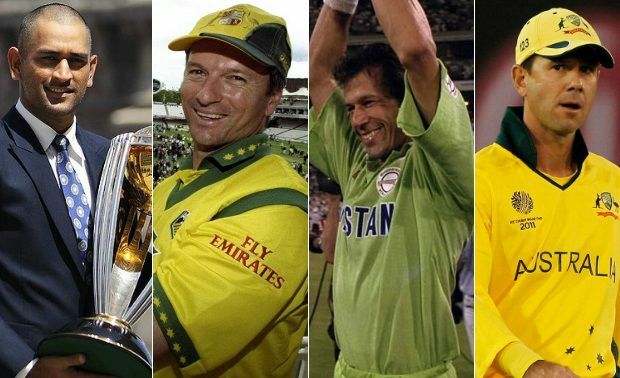 Even though Australia had earlier won the world cup in 1987 but it never became a phenomena the way it did after winning in 1999 under Steve Waugh. From there onwards Australia became as ruthless as the West Indian team of 70s and 80s. His captaincy span was from 1997 to 2002 in Odis and up to 2004 in Test matches. His side was under some serious pressure in the 1999 world cup as they did not have a great start. His captaincy was seriously tested and he stood firm against the odds and came out victorious. Under his captaincy, Kangaroos won 41 out of 57 tests and these figures make him the best captain in test history in terms of win percentage. Pakistan is and has always been a mercurial team. Despite of the great individuals and heavy weights like Majid Khan, Zaheer Abbas, Javed Miandad and Saleem Jaffar during 70s, the team could never develop a winning culture. In that era, more emphasis was on the individual performances rather than team victory. But all it needed to fix thing was a leader who could transform the culture and methodology of the team. So it did happen in and Imran Khan took over the captaincy in 1982. He was the heart throb of the sub continent and the captaincy only increased his charisma. He made Pakistan team believe in their ability and talent and also expunged the inferiority complex from them. He ensured that Pakistan was no more playing to draw a test match. He was someone who could identify the talent, nurture it, groom it and eventually convert it into a superstar like Wasim Akram, Waqar Younis, Inzamam ul Haq and Saeed Anwar. He was the first captain in the history of the game who demanded neutral umpires in the home series and that too against the mighty West Indies. He was the first Pakistani captain to defeat India in India in 1987. 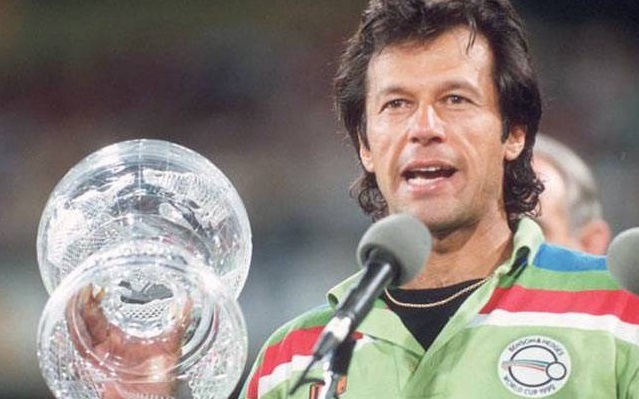 The real highlight of his captaincy was winning the world cup in Australia in 1992 against all the odds. The legacy of Australian Juggernaut continued for almost a decade thanks to this man. After Steve Waugh step down from Odis in 2002, the best puller in the cricket world became the captain of Australia. Being blessed with the formidable team having top class batting, athletic fielding and devastating bowling line up, the Aussies ruled the world of cricket under Ricky Ponting. Landmark victories under the great Ricky Ponting include ICC world cups in 2003 and 2007, ICC champion’s trophy in 2006 and 2009 and 5-0 Ashes whitewash in 2006-07. Under his captaincy, Aussies won in almost every part of the world in both test matches and one day internationals. He led the team till the 2011 world. India got knocked out of the world cup 2007 in the very first round after the defeat at the hands of Bangladesh. It was evident that sooner or later, Rahul Dravid would step down as a captain. But the question was that who will fill in the void after Rahul. In that scenario, BCCI took an out the blue decision and made MS Dhoni the captain of the team. This decision changed the fortune of the Indian cricket. He is a man of great temperament and calm head and it appears that even the 40 degrees Celsius weather of Chennai can’t make him lose his cool. His captaincy stint got off to a bang when India won the inaugural edition of T20 world cup in 2007. His achievements as an Indian captain are so monumental that many pundits call him the best captain India has ever had. Under his captaincy, India won the 2008 tri series in Australia, Asia Cup 2010, ICC world cup 2011, Champions trophy 2013 and also became the number one test team. Hansie Chronje became the captain of South Africa soon after their return in international cricket after apartheid. He took over the reins at young age in 1994-95 and was inspirational element in taking South African cricket to great heights. Under his captaincy, South Africa won series against every team except Australia. His captaincy record is substantial in terms of figures as South Africa won 99 out of 138 ODI matches and 27 test matches. In terms of win percentage in ODIS, he is the 3 rd most successful ODI captain all time. He played an instrumental role in developing the stature of South Africa in cricketing world. He captained the team till 2000 before his controversial exit. Misbah became is the man who brought calmness and stability into the shattered Pakistani team after the spot fixing scandal and other controversies. In 2010 after the controversial tour of England, Misbah was made the captain of the Pakistan’s Test team. But the kind of circumstances that Pakistan team was under, only this man could have steadied the struggling ship. Despite of heavy criticism from within the country, Misbah defied all the odds to take Pakistan on the winning track. Under his leadership, Pakistan white washed England and Australia in test series, defeated India in India in odi series, won the Asia cup in 2012 and also he became the first Asian captain to win an odi series in South Africa. Quantitatively he is the best captain Pakistan has ever seen in Test cricket with an aggregate of 20 wins. After the South Africa’s disastrous exit from 2003 world cup, Smith took over as the captain of the side at the age of 22. His immediate assignment was in England where he scored consecutive double hundreds. Graeme Smith holds the record for captaining in most number of test matches. He led his country in 109 test matches from 2003 to 2014 with astounding success and made South Africa the number one test team in 2008. Under his captaincy, South Africa defeated formidable Australian team in famous 2006 odi series 3-2 by chasing 434 runs in the final match. South Africa remained undefeated for two years in test matches from early 2012 to late 2013 under his reign. Like Smith, He also became the English captain after Nasser Hussain stepped down as captain after his team’s poor performance in 2003 world cup. England had become a very ordinary team since 1996 world cup and failed to achieve anything substantial. But after Michael Vaughan, the days of success came back. The monumental victory of England came in summer of 2005 when England regained the Ashes after 17 years. Also in 2004, England remained unbeaten in Test matches. i think dhoni is the biggest captain in the world dhoni is the best.